Dr. Ronni M Chen, MD is a Doctor primarily located in Brandon, FL. She has 28 years of experience. Her specialties include Ophthalmology. She speaks English. Dr. Chen has received 2 awards. The overall average patient rating of Dr. Ronni M Chen is Great. Dr. Ronni M Chen has been rated by 34 patients. From those 34 patients 4 of those left a comment along with their rating. The overall rating for Dr. Ronni M Chen is 4.4 of 5.0 stars. We love Dr. Chen. She is caring, considerate, and interested in your child's eye problems. Through her care the last three years, my son no longer needs to wear glasses. He had very reduced vision in his left eye due to amblyopia, but Dr. Chen worked to correct and now he does not need glasses. I would recommend her to anyone who has children with special vision needs. 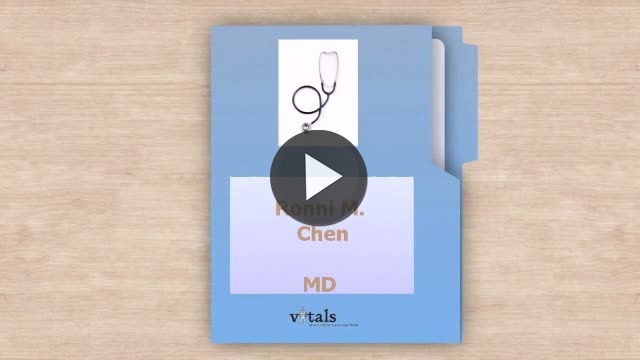 Take a minute to learn about Dr. Ronni M Chen, MD - Ophthalmology in Brandon, FL, in this video.